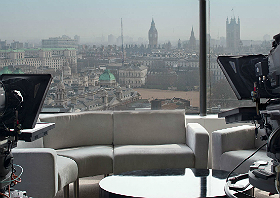 London UK, February 2015: Reuters, the world’s largest international multimedia news agency, and TIMA, a global content service provider, have announced a major new global partnership designed to offer location services including studio facilities and logistical support to broadcasters and online media outlets. Reuters-TIMA Location Services combines Reuters unparalleled global editorial content, seen by over a billion people every day, with TIMA’s cutting-edge technology and considerable experience of service delivery for the international media industry. The new service, created in response to the increased demand for live content in a shifting media landscape, will form a vast news and editorial network providing every aspect of newsgathering facilities and support services. It will combine invaluable local knowledge with strategically placed broadcast and satellite resources in regional hubs. The service will launch at the 87th Academy Awards ceremony on 22nd February 2015, where live positions overlooking the red carpet will be provided to clients. Reuters-TIMA Location Services will offer experienced production and editorial staff on the ground at key global events, rapid access to events of regional significance, logistical services and dedicated customer support. The service will also give clients access to high-tech live studio facilities around the world, many with stunning city backdrops. From New York to Moscow and Rio to Singapore, plus a network of Middle Eastern offices, including TIMA’s facilities in Tehran, Reuters-TIMA Location Services has been set up to cover every major world event, from elections to summits, sports to national celebrations and breaking news such as war, natural disasters and militant attacks. Tim Santhouse, Reuters Global Head of Video Products, says: "Reuters-TIMA Location Services will support broadcasters and online publishers with editorial, technical and infrastructure support on location. Our service will enable our customers to focus on what they’re good at – telling their story to their audience – while the entire operational side, including technical and local knowledge, is taken care of. This partnership brings together two sets of skills and experience that will create a powerful newsgathering service for the benefit of media companies." Alla Salehian, CEO of TIMA, says: "International news stories today have more impact beyond their borders than ever before. Alongside this, there are an increasing number of TV channels across the world and a growing appetite for online video content. The result is a huge demand for live international video news and analysis 24-hours a day. Reuters-TIMA Location Services is uniquely equipped to support this trend in a way that is both affordable and of high quality."  Breaking news facilities: Reuters-TIMA Location Services will provide every aspect of newsgathering facilities and support services on the ground during breaking news stories throughout the year.  Event facilities: The partnership will also provide coverage of key global events and unprecedented access to events that are also of regional significance, as well providing logistical and editorial services and dedicated customer support.  Studio space: The service will also offer clients access to high-tech live studio facilities around the world, many with stunning city backdrops.